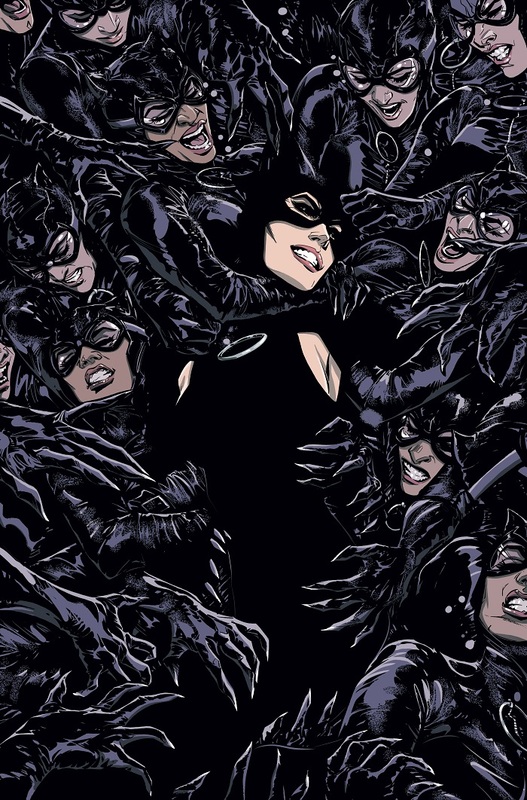 Along with a new ongoing series, Catwoman will receive a new costume, courtesy of writer/artist Joëlle Jones. Ahead of the release this afternoon of the solicitations for August, DC has unveiled Selina Kyle’s new costume, which will debut in in the pages of Catwoman #2. As that issue’s cover offers only a glimpse, the publisher has released two illustrations by Jones that highlight details of the costume. While Catwoman will remain draped in black, she”s dropped the goggles she favored for nearly two decades in favor of a more traditional cowl. It’s a sleeker design that will undoubtedly evoke memories of Michelle Pfeiffer’s costume from 1992’s Batman Returns, only without all the extraneous stitching. Announced last month, the new Catwoman series kicks off July 4, the same day Batman #50, and follows Selina on her wedding night as she attempts to catch a copycat burglar prowling the streets of Gotham City. The post Catwoman’s New Costume Unveiled By DC appeared first on CBR.